First time at Gorman’s (of Westerhope) fish & chips – very nice. Crispy light batter, fresh fish, and pretty good chips. 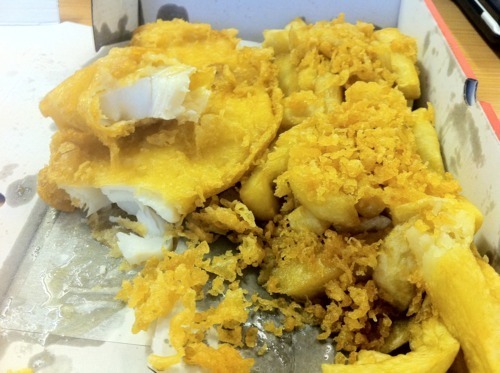 For the next two weeks all food is half price, so fish & chips a bargain at £2.40. Worth a visit!